The Himalaya is a mountain range in Asia, separating the Indian subcontinent from the Tibetan Plateau. By extension, it is also the name of the massive mountain system which includes the Himalaya proper, the Karakoram, the Hindu Kush, and a host of minor ranges extending from the Pamir Knot. Together, the Himalayan mountain system is the planet's highest and home to all 14 of the world's highest peaks, the Eight-thousanders, including Mount Everest. To comprehend the enormous scale of Himalayan peaks, consider that Aconcagua at 22,841 feet (6962 m) is the highest mountain in the Andes, while there are over thirty peaks in the Himalaya exceeding 25,000 feet (7620 m). 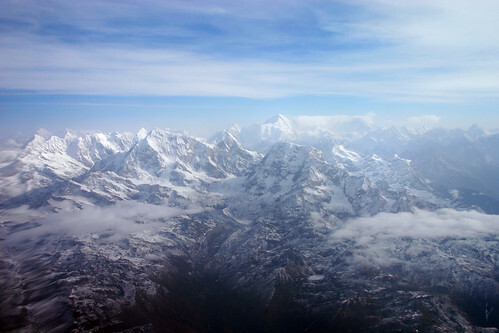 Etymologically Himalaya means "abode of snow" in Sanskrit ( from hima "snow", and aalaya "abode"). The correct name for the range is Himalaya, though the plural Himalayas is often used. 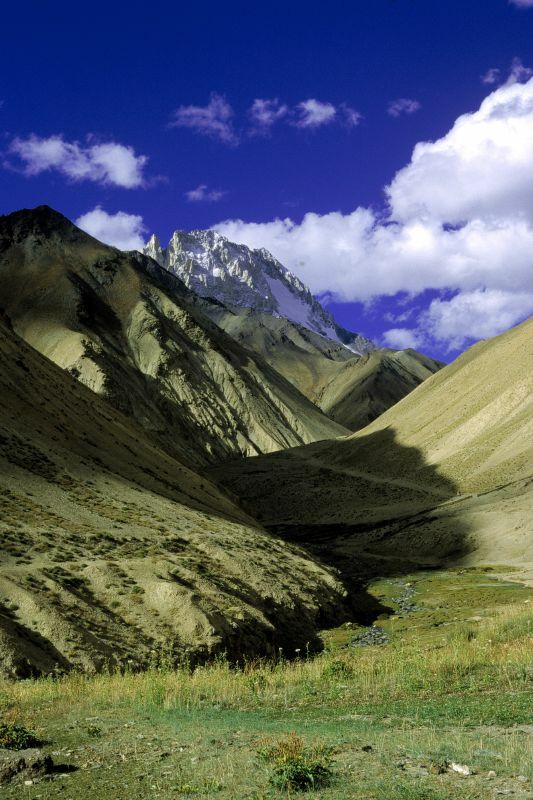 The Himalaya stretch across five nations — Pakistan, India, China, Bhutan and Nepal. It is the source of two of the world's major river systems — the Indus Basin and the Ganga-Brahmaputra Basin. An estimated 750 million people live in the watershed area of the Himalayan rivers, which also includes Bangladesh. The Himalayan (pronounced as Himaalayas and not with a short "a" as is commonly mispronounced)range runs for about 2400 km, from Nanga Parbat in the west to Namche Barwa in the east. The width varies between 250-300 km. 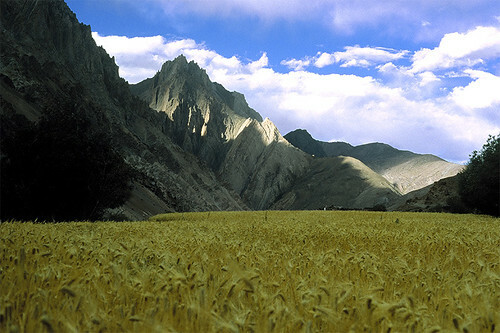 The Himalayan range comprises three parallel ranges, arranged by elevation and geological age. The Himalayan range at Yumesongdong in Sikkim, in the Yumthang River valley.